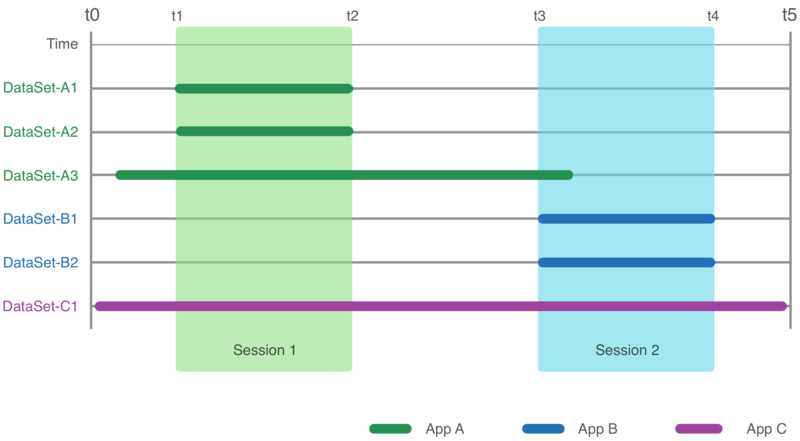 The REST API lets you create sessions and retrieve sessions within a specific time interval. You can also read data from datasets that overlap with the time interval of a session. For more information, see Working with Sessions and Working with Datasets. Sessions let you obtain the package name of the Android app that created them using the session.application property. For sessions that were created using the REST API, you can use the session.name property. You can use this information in your app to show users which other apps inserted fitness sessions that are relevant to the context. For more information, see Data Attribution.